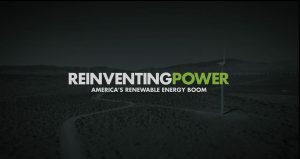 Green Ossining and the Sierra Club Lower Hudson Group, NY invite you to the screening of Reinventing Power. The 50 minute film will introduce you to people in 8 states who have had their lives changed by the renewable energy industry; come learn about how we do not need to choose between sacrificing jobs and sacrificing our environment. The film will be followed by a moderated discussion. This free event begins at 7PM at the Ossining Public Library’s Budarz Theatre.